Humanity has reached a critical moment. Our world is unsettled and rapidly changing, and we face existential risks over the next century. Various outcomes-good and bad-are possible. Yet our approach to the future is characterized by short-term thinking, polarizing debates, alarmist rhetoric, and pessimism. 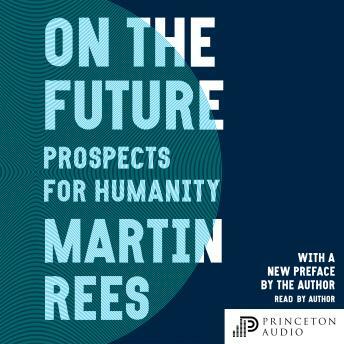 In this short, exhilarating book, renowned scientist and bestselling author Martin Rees argues that humanity's prospects depend on our taking a very different approach to planning for tomorrow. The future of humanity is bound to the future of science and hinges on how successfully we harness technological advances to address our challenges. If we are to use science to solve our problems while avoiding its dystopian risks, we must think rationally, globally, collectively, and optimistically about the long term. Advances in biotechnology, cybertechnology, robotics, and artificial intelligence-if pursued and applied wisely-could empower us to boost the developing and developed world and overcome the threats humanity faces on Earth, from climate change to nuclear war. At the same time, further advances in space science will allow humans to explore the solar system and beyond with robots and AI. But there is no "Plan B" for Earth-no viable alternative within reach if we do not care for our home planet.